Curated by Idurre Alonso and Selene Preciado. Customizing Language critically examines how language reflects geopolitical realities. The project approaches language as a tool to reflect power relations, hierarchies, social differences, and historical problems, as well as a cultural system of belonging that can indicate the loss or reconfiguration of certain kinds of identities. 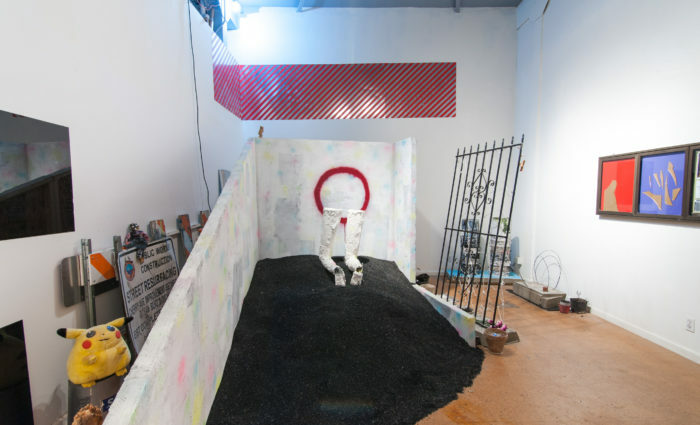 The participating artists engage local and historical issues by using experimental language to create a dialogue with the audience, exploring issues of “custom” as cultural tradition, U.S. Customs as an immigration agency, and lowrider customization in popular culture. Exhibiting artists include: Alexander Apóstol (Venezuela, b. 1969. Resides in Madrid), Mely Barragán ( Tijuana, b. 1975. Resides in Tijuana and Beijing), Beatriz Cortez (El Salvador., b. 1970. Resides in Los Angeles), Marcos Ramírez ERRE (Mexico, b. 1961), Regina José Galindo (Guatemala, b. 1974. Resides in Guatemala), Luis G. Hernández (Mexicali, b. 1975. Resides in Mexicali), Camilo Ontiveros (Mexico, b. 1978. Resides in Los Angeles), Rubén Ortiz-Torres (Mexico City, b. 1964. Resides in Los Angeles), Gala Porras-Kim (Colombia, b. 1984. Resides in Los Angeles), and Clarissa Tossin (Brazil, b. 1973. Resides in Los Angeles). 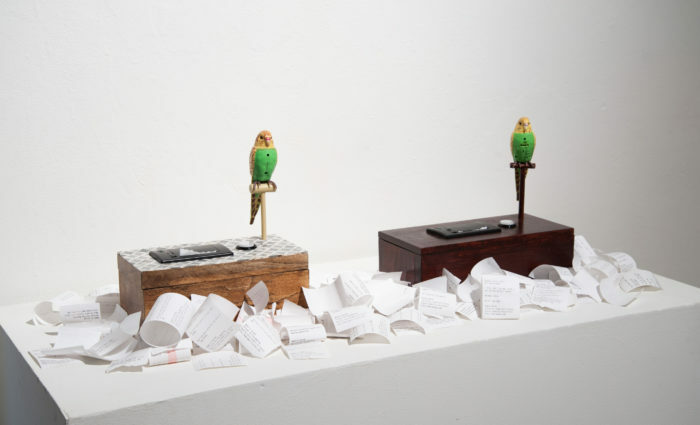 Language + Art – Join curators of Customizing Language Idurre Alonso and Selene Preciado in a panel with artists Beatriz Cortez, Rubén Ortiz-Torres, and Marcos Ramírez ERRE. The panel will address the use of text and translation in art raising up the formal and socio-political questions presented throughout the works of art in the exhibition. 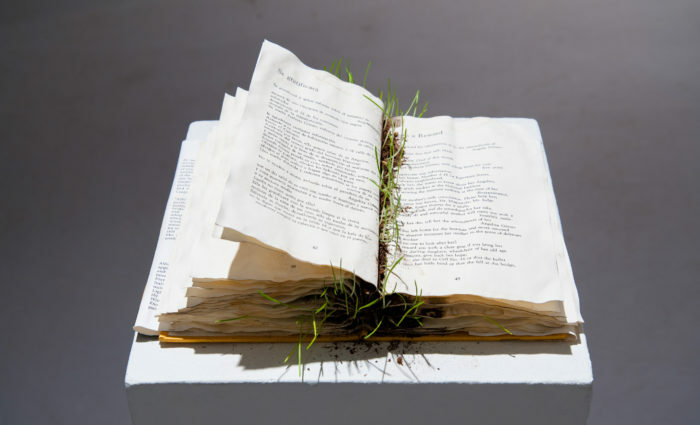 Idurre Alonso is a Modern and Contemporary Latin American art curator. She has been recently appointed associate curator of Latin American Art at the Getty Research Institute. In spring 2014 she was hired as assistant curator at the Department of Photographs at the J. Paul Getty Museum, where she worked developing, together with Judith Keller, the Pacific Standard Time: Los Angeles/ Latin America initiative exhibition Contradiction and Continuity. Photography from Argentina, 1850-2015, scheduled for September 2017. Before working at the Getty Museum, she was curator at the Museum of Latin American Art (Long Beach) (2003-2014) where she organized and coordinated numerous exhibitions, including LA Presencia. 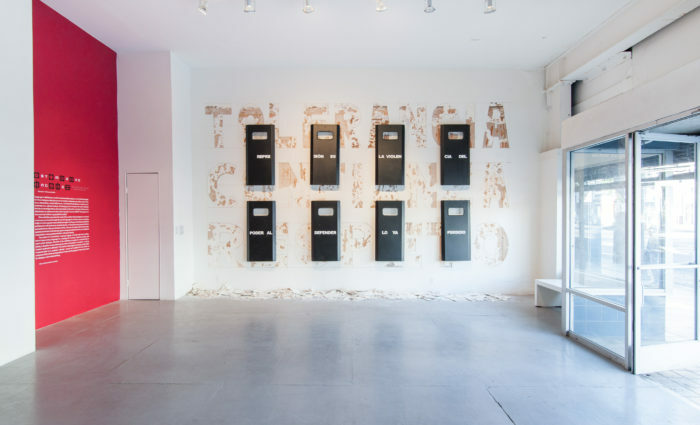 Latin American Art in the U.S. Collections (2007); Changing the Focus. Latin American Photography 1990-2005 (2010); Unresolved Circumstances. Video Art from Latin America (co-curated with Cecilia Fajardo-Hill) (2011); Play with me: Interactive Installations (co-curated with Cecilia Fajardo-Hill and Selene Preciado) (2012) and Regina Galindo. Vulnerable (2012). Ms. Alonso has written numerous scholarly essays and articles for magazines and publications such as Art & Place. Site-Specific Art of the Americas (Phaidon Press Limited, 2013), Arte Al Dia News Mexico, and Arte al Límite Chile. She has lectured at significant events and institutions including the Getty Research Institute, the CAA Conference, Museo de Arte Moderno in Guatemala, and New Orleans Museum of Art, among others. Idurre Alonso holds a B.A in Art History from Universidad del País Vasco, Spain, and M.A. in Contemporary Art History from the same university. 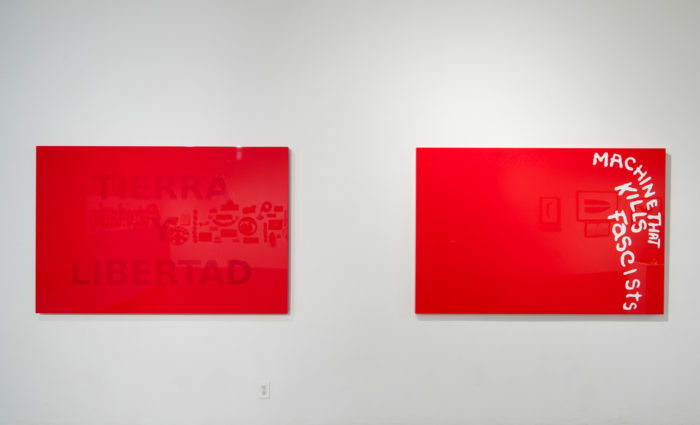 Her Ph.D. dissertation (in progress) focuses on conceptual photographic practices in Latin America. Selene Preciado (b. 1982, Tijuana/San Diego) obtained an M.A. in Art and Curatorial Practices in the Public Sphere at the Roski School of Art and Design, University of Southern California, and is currently Program Assistant at the Getty Foundation, providing support in the Pacific Standard Time: LA/LA grant initiative. 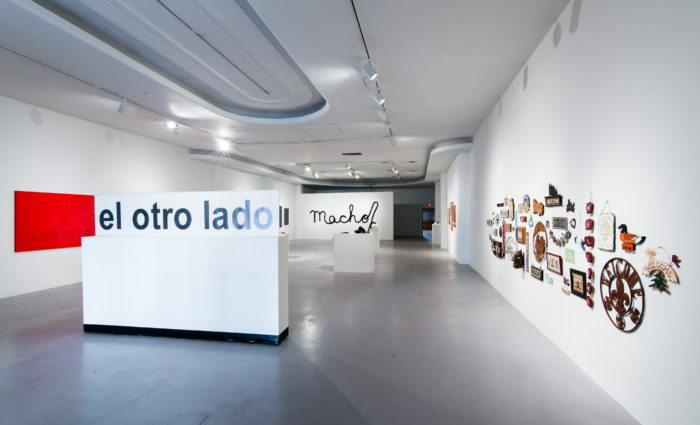 Prior to her current position at the Getty Foundation, Preciado worked as Curatorial Research Assistant at The Museum of Contemporary Art (MOCA), Los Angeles; as Assistant Curator at the Museum of Latin American Art (MOLAA) in Long Beach, California (2009–2013); as Exhibitions Assistant at El Cubo, Centro Cultural Tijuana (2008–2009); as Curatorial Assistant at the San Diego Museum of Art (2006–2007); and as Exhibition Coordinator of Farsites: Urban Crisis and Domestic Symptoms in Recent Contemporary Art, the museum exhibition component of inSite_05, curated by Adriano Pedrosa (2005). She received her B.A. in Visual Arts from the University of California, San Diego in 2005. The Emerging Curator project was selected by panelists Connie Butler, Matias Viegener, and Nery Gabriel Lemus. 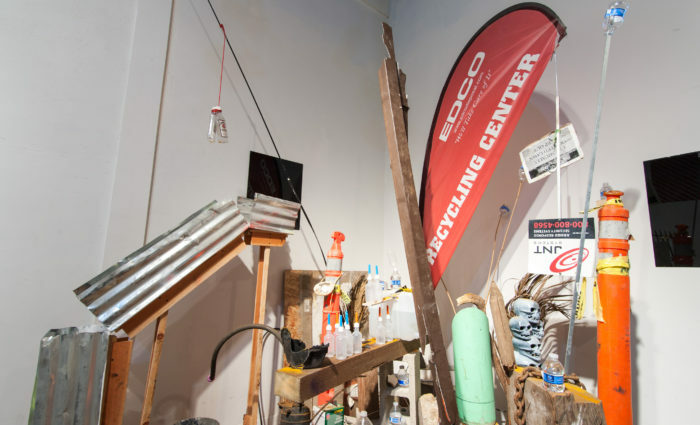 Learn more about the Emerging Curator program here. La exposición Customizing Language es una investigación crítica de cómo el lenguaje refleja realidades geopolíticas. El proyecto aborda el lenguaje como herramienta que señala relaciones de poder, jerarquías, diferencias sociales y problemas históricos, a la vez que es un sistema cultural de pertenencia que indica la pérdida o reconfiguración de ciertos tipos de identidades. Los artistas participantes abordan problemáticas locales e históricas utilizando lenguaje experimental para entablar un diálogo con la audiencia, explorando temas como tradiciones culturales, migración y cultura popular. Entre los artistas de Customizing Language se encuentran Alexander Apóstol (Venezuela, 1969. Vive en Madrid), Mely Barragán ( Tijuana, 1975. Vive en Tijuana y Beijing), Beatriz Cortez (El Salvador. Vive en Los Angeles) Marcos Ramírez ERRE (México, 1961), Regina José Galindo (Guatelama, 1974. Vive en Guatemala), Luis G. Hernández (Mexicali, 1975. Vive en Los Angeles), Camilo Ontiveros (México, 1978. Vive en Los Ángeles), Rubén Ortiz-Torres (México, 1964. Vive en Los Ángeles),Gala Porras-Kim (Colombia, 1984. Vive en Los Ángeles), Clarissa Tossin (Brasil, 1973. Vive en Los Ángeles). Ambas curadoras están involucradas actualmente en Pacific Standard Time: LA/LA, iniciativa de la Getty. Idurre Alonso es curadora asociada en el Getty Research Institute y Selene Preciado es asistente de programas en la Getty Foundation. Idurre Alonso estudió historia del arte en la Universidad del País Vasco y actualmente está desarrollando su disertación sobre arte conceptual y fotografía en Latinoamérica. Selene Preciado es egresada del programa curatorial de la University of Southern California y su tesis de maestría se enfocó en la obra de la artista mexicana Mónica Mayer, quien estudió en el legendario Feminist Studio Workshop en Los Ángeles a finales de los setenta.